Monitor the Newport Antenna Radiation Pattern Measurement Facility and STOP ALL RADIATION TESTING until an Environmental Impact Assessment is done. We started this petition because our town has faced sickness for several decades. The DOH acknowledged this and has opened up 3 investigations since the 1980’s. They admitted that the numbers of pediatric cases are statistically unlikely to be due to chance, but they do not have the resources to help. There were 8 pediatric cases of cancer in the mid 1980‘s. Most of the cases were leukemia, one of which resulted in death. Six pediatric cases of cancer were diagnosed between 2011 and 2013. Three of the cases were a very rare form of lymphoma that approximately fifty people in the entire Unites States get each year. It is called Anaplastic Large Cell Lymphoma (ALCL). Our small town made up 6% of this particular lymphoma. 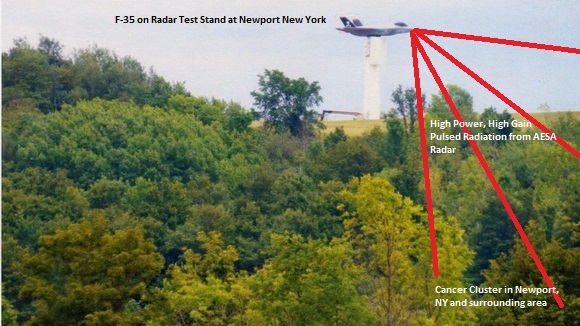 We’ve worked to determine what it is that is different in our community from other communities like ours and the most obvious thing is the Newport Antenna Radiation Pattern Measurement Facility which is a military radar testing facility operated by the Air Force.http://cybernyalliance.org/wp-content/uploads/2013/07/AFRL-Info-Dir-NewportTestSiteTriFold.PDF. The facility is known to be one of, if not the largest of its kind in the United States. The only other military radar towers like this are located in the desert out west. The facility is also an electronic warfare testing site that can distribute harmful levels of microwave radiation used for jamming radars. There are many recent studies that have been done pointing to the detrimental effects of non-ionizing radiation on biology and the causation is there. We have good reason to think that pulsed electromagnetic radiation is triggering mutations and damaging DNA/RNA resulting in cancer, birth defects, autism, etc. Long term exposure to microwave radiation has recently been linked to increased cancers. 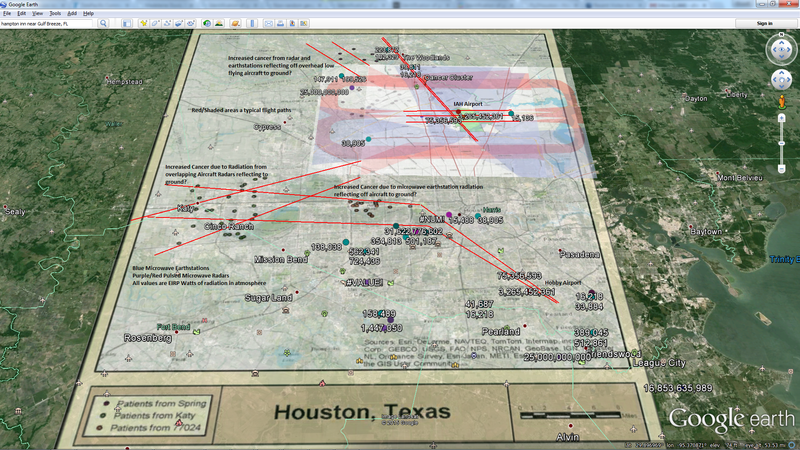 Severe weather and obstacles that scatter the radiation (like wind turbines) complicate the problem. In 2010, there were 37 wind turbines installed at Hardscrabble Windfarm. The turbines are located on some hills directly across from the military radar towers a few miles away. We know that when the radars are performing tests, radiation scatters off of the turbines onto the surrounding ground.https://www.fas.org/irp/agency/dod/jason/wind.pdf Radiation is most likely scattering and reaching human beings in their homes and/or cars as a result. The turbines were put up in 2010 and in 2011 a cluster of children became sick. There is also a main roadway 2000 feet below the radiation test facility with only small RF/Microwave reflection fencing below the radars. Prior to the recent pediatric cancer cluster, the F-35 was mounted at the Newport Test Site to do extensive testing. Lockheed Martin built both the F-16 and F-35 Joint Strike Fighters. Ball Aerospace made the F-35 antennas. Just about every military aircraft manufacturer has tested at the Newport site over the past 40 years. We cannot find an Environmental Assessment/Impact Document for the Newport, NY Test Facility. Since they are testing electronic warfare radars with the F-35, it should be required. So far, we have not been able to find it. Due to the extreme amount of disease in our local community we believe ALL RADIATION TESTING SHOULD BE STOPPED until an actual environmental impact assessment has been done. Please support us in our efforts to find an answer to the sickness in our community. Thank you to my favorite catalyst and fellow change agent. Thanks! You gals are doing a good thing and the right thing!